Participants will understand how to engage & encourage children to learn yoga at their own pace and have FUN during the process. 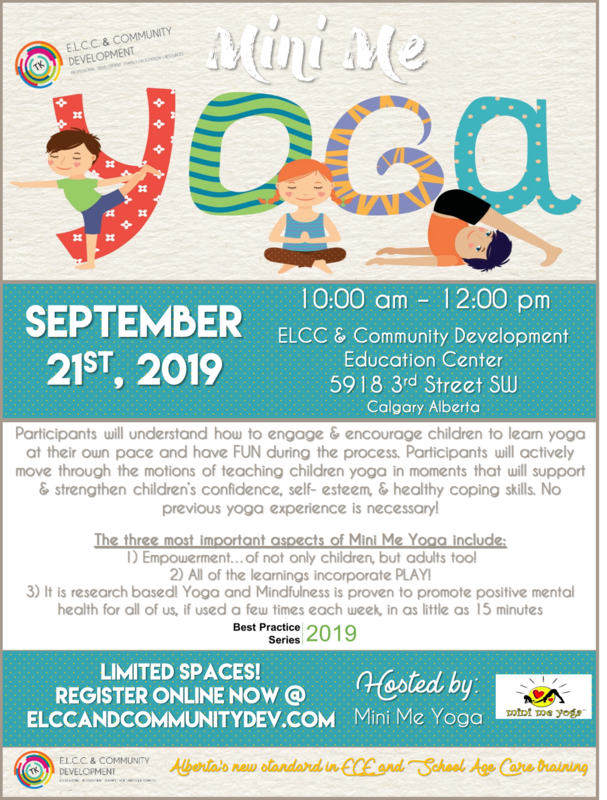 Participants will actively move through the motions of teaching children yoga in moments that will support & strengthen children’s confidence, self-esteem, and healthy coping skills. No previous yoga experience is necessary! Participants will understand how to engage & encourage children to learn yoga at their own pace and have FUN during the process. Participants will actively move through the motions of teaching children yoga in moments that will support & strengthen children’s confidence, self- esteem, & healthy coping skills. 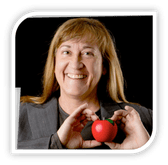 *Empowerment – we not only empower children, but we empower adults to have the skills to be comfortable and confident in bringing yoga, positive thinking and relaxation skills into children’s lives… NO previous yoga experience is necessary! *All of the learnings incorporate PLAY! Play is so important for children to have and it’s a very natural way for ALL children to learn. Nicole is your Mini Me Yoga Ambassador for Calgary and Western Canada. Joining Mini Me Yoga’s team in 2016, Nicole has 10 years experience working in the field of school-based mental health promotion and prevention and 15 years experience in the field of mental health. She felt that bringing Mini Me Yoga to her community was the next step to continue her passion to encourage children to live happy, healthy lives. Click here for a poster!